Malay Language for Chinese Learners Vol. 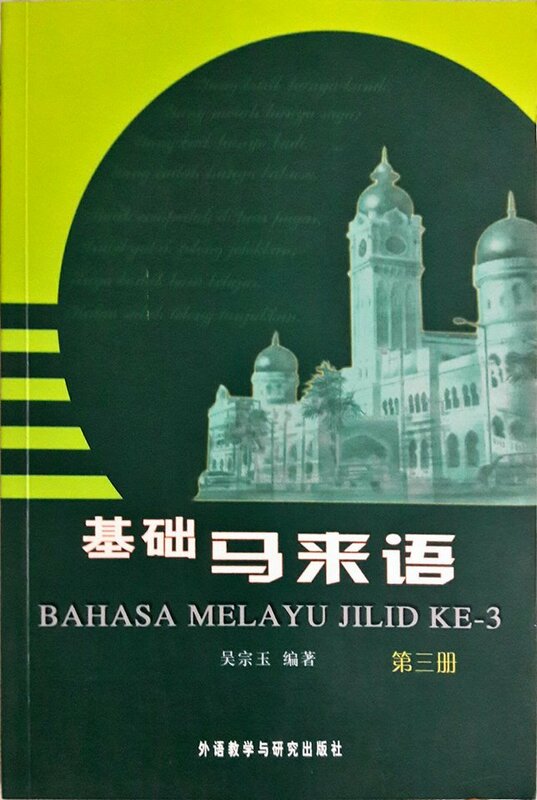 3 is the last book in the series of the basic Malay language. The 3rd volume differs from the first two volumes although they are all specially written for those who have Chinese as their first language. However, the first two volumes wish to train the beginners to understand a new language while the third volume intends to broaden the students’ knowledge of Malay language. Other than that, the editor also includes a variety of literary works that is recommended by the Malaysia Language Board in its material selection as the editor hopes the students can improve their language skills through reading a large volume of literature. Textbook content includes exercises as in a large volume of word explanation from the Malay glossary of words, idioms, proverbs, analysis of words and sentences and etc. Students are able to familiarize, imitate and memorize the Malay language through all these exercises. The exercises as provided in the book enables the readers to build up their Malay foundation, meanwhile understand the humanities and society used in this language through literary works. The selling price is RM 53 with a total of 417 pages.